Comprehensive Expertise, ‘from Egg to Egg’. Sturgeon Farming Is A Very Long, Painstaking Process. An 8-year-old female sturgeon weighs about ten kilos and yields approximately 10% of her weight in caviar. Caviar Is Produced Using Traditional Methods. Our caviar is made in accordance with traditional expertise: the grains are carefully hand-sieved, washed in clean water, mixed with salt and tinned – nothing more! 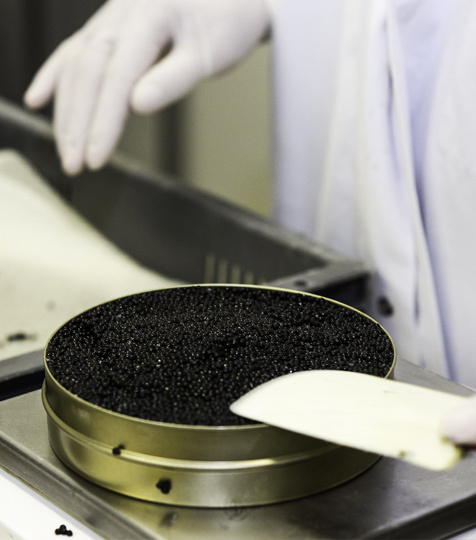 The caviar is then matured naturally in our maturation rooms.